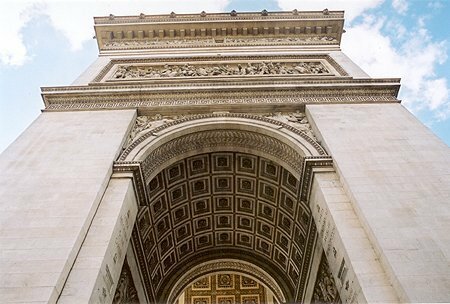 50 metres high and 45 metres wide, the Arc de Triomphe sits at the junction of twelve streets as a monument to the glory of the French Army. It took thirty years to build and a Grave of the Unknown Soldier was added in 1921. 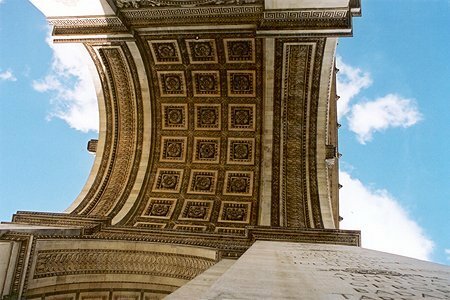 Six reliefs of battles are carved into the vaulting of the arch with the names of thirty victorious battles inscribed on the attic storey.